I’ve passed through security on the way to the largest numismatic event of the year and am gearing up for a few days in sunny California. In between meeting a famous Mouse and taking a run or two down Space Mountain with my kids, it promises to be 10 days (yes, 10!) of numismatic action and we’re as excited as ever. There’s obviously a lot of work that goes into planning a trip that is this extensive, but we finally feel that we’re ready and we hope to see a number of you there. Of course, if there are any coins you’d like us to bring, please email coins@davidlawrence.com and we’ll be sure to have them at the show. We wish that we could take all 6,000 items that we have for sale, but unfortunately we have to limit our selections and hope that you’ll let us know what you’d like to see! 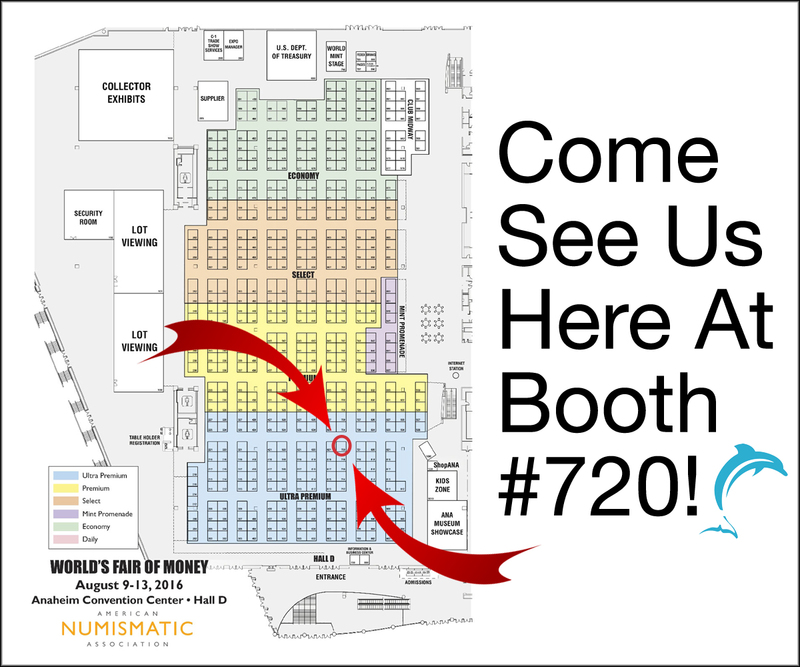 DLRC will be set up at table 720 and we’ll be rotating staff around the length of the show. So please let us know if you’re going to stop by and say hello to Jason, Matt, Devin, Mike, or myself. 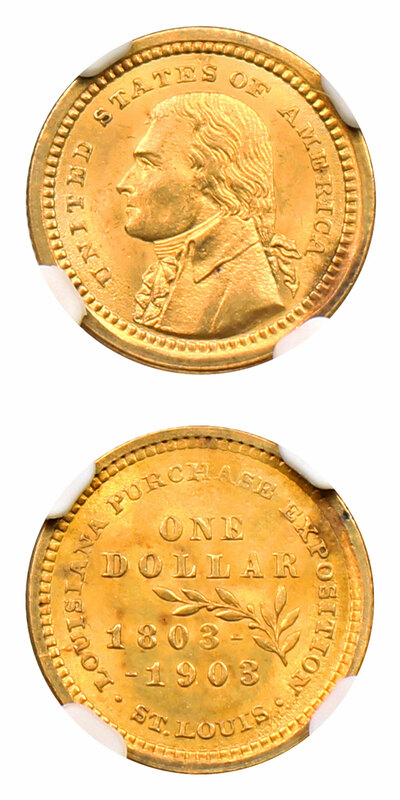 We’d love to have the opportunity to speak with you and discuss your collection or any coins that might be of interest. I’d be remiss if I didn’t mention the beginning of two major collections that we listed this week. The Southern Shores Collection, which focuses on a type set of Southern Branch Mint gold and a high grade set of $2.50 Indians ends on August 14th and the first of three offerings of the Carolina Creek Collection. Part 1 is now set up for bidding and will end on August 21. We are very excited about these offerings and will have many of these items with us at the show for viewing. Thanks again for reading and we hope to see you in the shadows of Disneyland this week! Why we love it: The last issue minted at the Charlotte, NC mint is a popular one amongst collectors as many of the pieces were likely struck by Confederate soldiers upon the seizure of the mint during the Civil War. One of the underappreciated Civil War issues, this is truly a special offering and one we likely won’t duplicate in years. Value: Very few uncirculated examples of this date remain and we are proud to offer this rare date in auction this week with a reserve of just $17,500. Why we love it: Early Walkers are a very popular series for collectors and recent weeks have really proved this once more as we have sold a number of high-end issues. 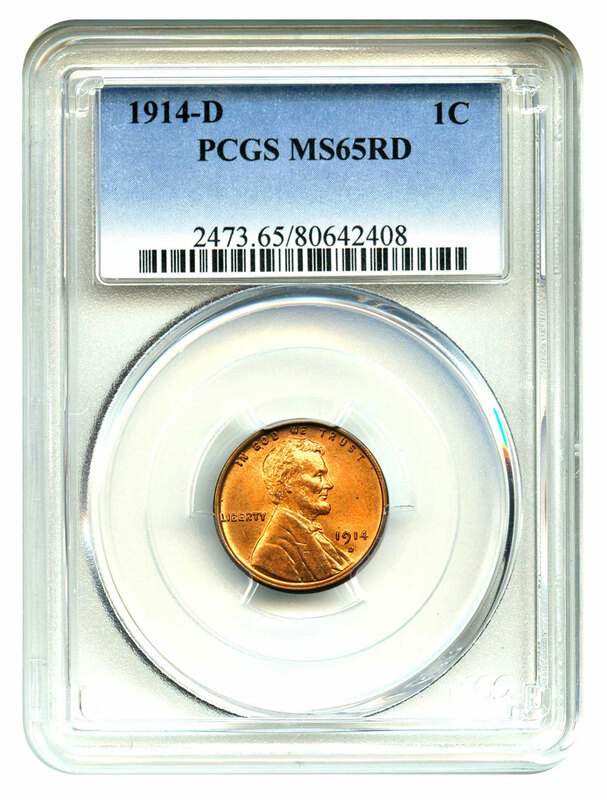 We also love the 1919-P as it is a lower mintage than the 1919-D or S and can be found for a substantially lower price in high grades. 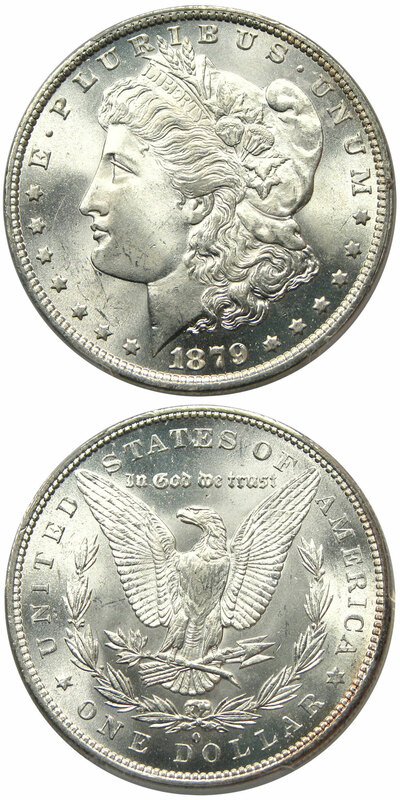 Value: This gorgeous gem is available this week for $18,250 via Make Offer and would be a welcome addition to any Walking Liberty Half Dollar set. 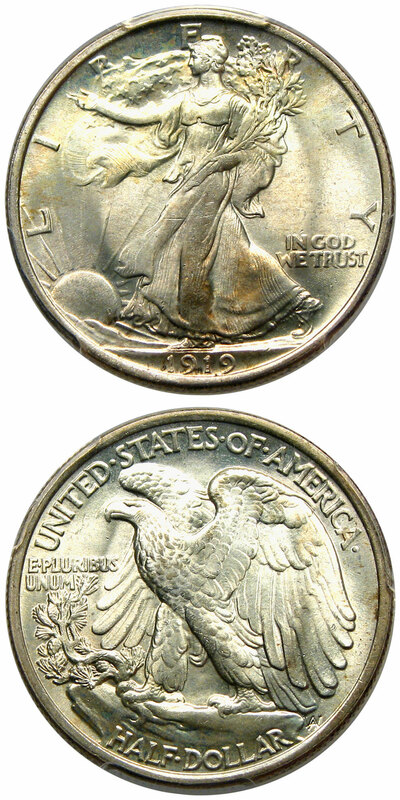 Why we love it: Despite the higher mintage, we see far fewer examples of the 1914-D than the other key date Lincolns like the 09-S VDB. In fact, gem red examples are very few and far between. This is a lovely red piece and is sure to please even the most detailed numismatist. Value: The Greysheet ask price on this piece rates an average coin at $16,000 and we’re offering this beautiful example with a reserve of just $16,500 this week. Why we love it: A finer example than this MS66 has never been offered in public auction and we have not offered a similarly graded example in 3 years. Perfect for the Registry Set collector or any high-end Morgan investor, this coin is sure to please. Value: The PCGS Price Guide reflects an overall value of $21,000, but we are offering this piece for just $18,000 via Make Offer this week. 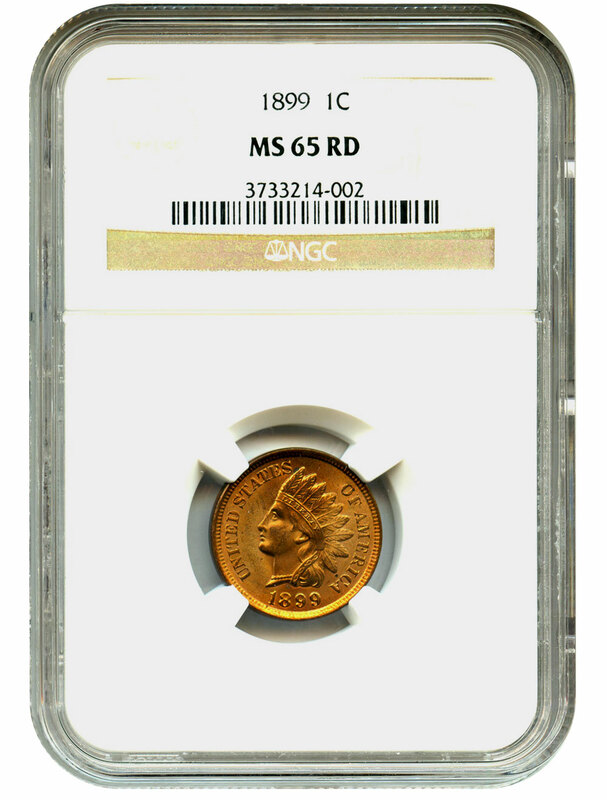 Why we love it: 5 years ago, gem Red Indian Cents were fairly commonplace and we could buy 5-10 at any given show for between $450-$500. For some reason, the market on these has dried up and it has become far more difficult to locate these than would seem likely. In fact, if you have any quantity of these, we’d be happy to make an offer! Value: Available for just $475 via Make Offer this week, we think that this is an absolute steal due to the lack of supply. Why we love it: Classic Gold Commemorative issues are the ideal contrarian purchase in today’s market. Just 3 years ago, this exact coin would sell for over $1500 wholesale! We think that the bubble has started to disappear around these issues as we’ve seen a lot of strengthening in price amongst eye appealing pieces. 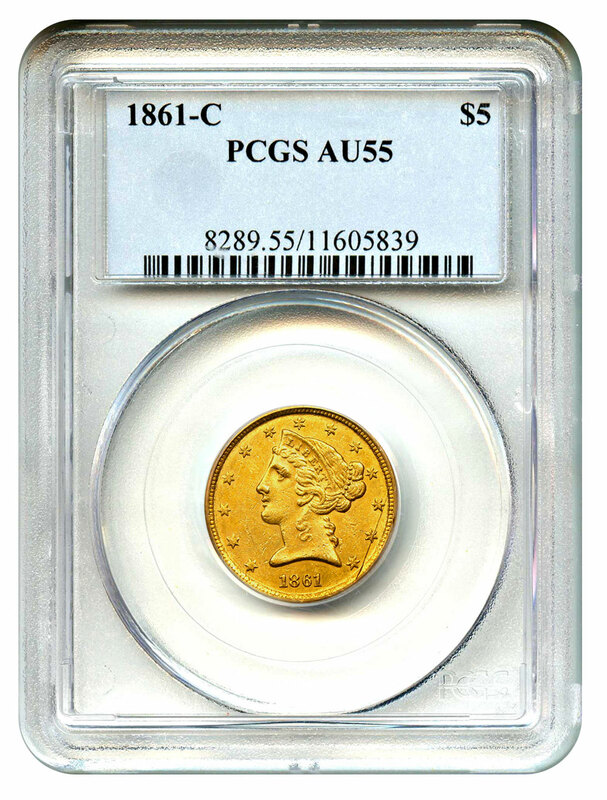 Value: The Greysheet lists this piece for $1,100 and the PCGS Price Guide chimes in at $1600, but we can offer this example for just $1075 via Make Offer and we love the value!